It’s the perfect gastronomic mouthful! 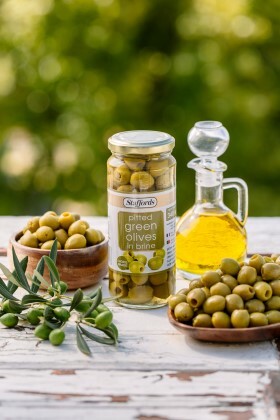 Although a large proportion of the Spanish olive harvest is used to produce olive oil, an exclusive selection makes it to processing and bottling as table olives. 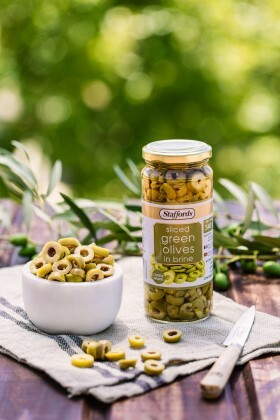 Last but not least: Olives are not only delicious; they’re pure goodness too. Not only do they contain valuable amounts of antioxidants and anti-inflammatory nutrients, they’re also vegan, and free of cholesterol, gluten, soy and dairy. 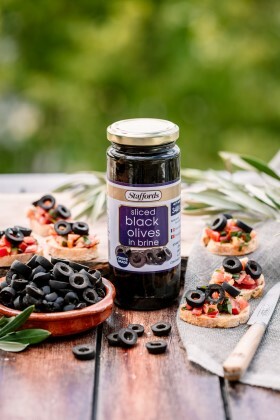 The Staffords olive range consists of sliced and pitted black olives as well as sliced, pitted and stuffed green olives. They’re available from leading supermarkets with a recommended retail price that varies between R28.99 and R31.99. 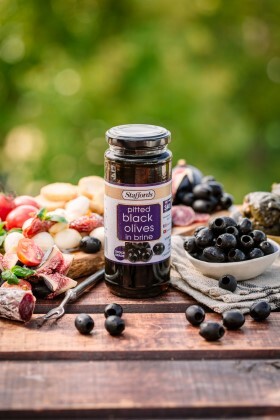 So get to your favourite supermarket today and pick up a couple of jars of Staffords green or black olives to get snacking healthily and deliciously! 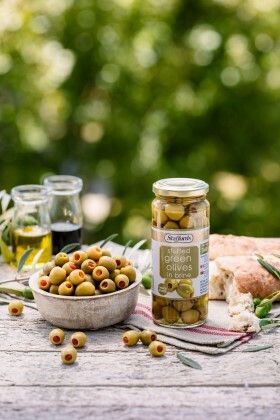 Olives go well with everything and here’s the secret why: they’re the only fruit that contains the four basic flavours, sweet, salty, bitter and sour, we find in all foods! And that of course leads to unlimited possibilities and combinations! 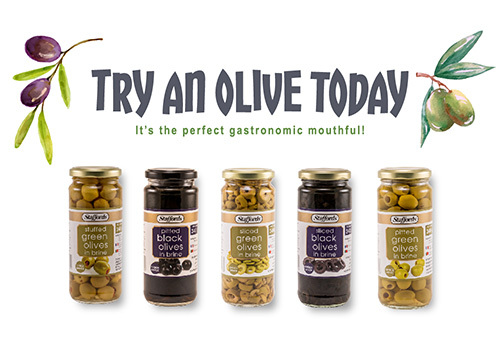 Here’s but a few for you to try out… but remember to choose olives from the Staffords range for an authentic zing! 1. 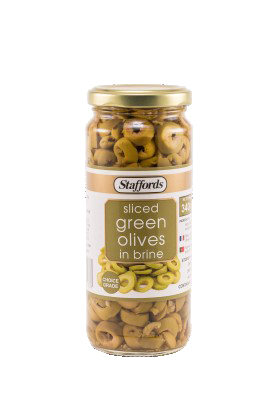 Quickly throw together a Mediterranean salad by tossing cubes of feta and tomatoes into baby salad leaves and finishing it off with your choice of Staffords olives. 2. There’s no better light lunch than scooped-out tomatoes filled with cooked rice flavoured with chopped tomato, fresh herbs and sliced green olives. Add some fresh lemon for additional tang! 3. Whizz pitted olives in a blender, add some good quality ready-made mayonnaise and a splash of lemon juice. It’s the perfect dip for raw veggies or a delicious sandwich filling with tomato. 4. Olives and cheese are like love and marriage. The perfect cheese platter partners – just add a good red! Alternatively skewer olives and cheese with a few cherry tomatoes for a scrumptious snack that’s ready in 5! 5. Needing to jazz up boring grilled chicken or fish? 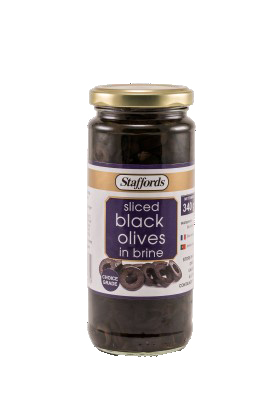 Sauté finely chopped onions and garlic in olive oil, toss in a handful of sliced black Staffords olives and a tin of good quality diced tomatoes. Simmer and serve. 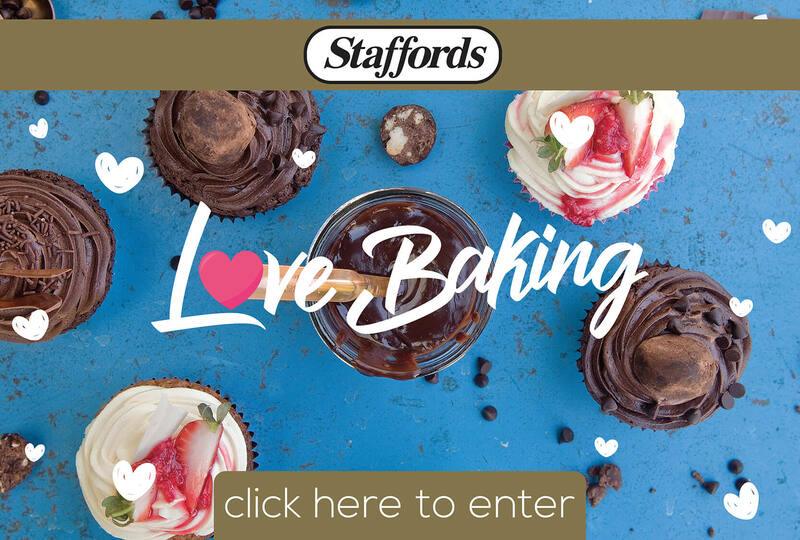 Gourmet in seconds! 6. 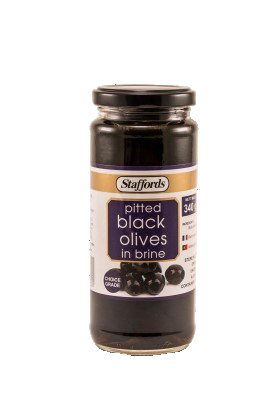 Staffords pitted black olives, hummus and feta cheese with garlic bread is a soul soothing light dinner or a perfect rugby weekend snack. And talking about rugby snacks, throw stuffed olives into a bowl with peanuts and watch them disappear. 7. Lastly, we cannot forget the classic Vodka Martini but we’d like it with a twist. So add Staffords green stuffed olives for a taste sensation or, if you’re feeling really experimental, try a Dirty Vodka Martini: Add Staffords olive brine to the vodka and dry vermouth in the cocktail shaker with a handful of ice and shake well. Strain the contents of the cocktail shaker into the glass and add the olives… Arriba!